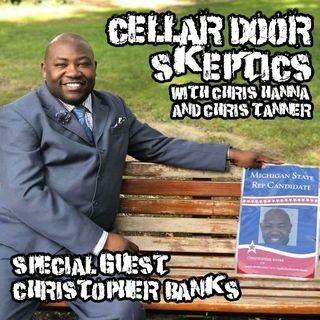 This show’s guest for the night is Christopher Banks, whom is currently running for the State House in Michigan in 2020. He joins us tonight to discuss Black History Month, share his stories, and help give credit to the minorities who have helped shape this country. Without minorities, we would not be the nation we are today. We discuss the origins of Black History Month, experiences with helping others learn about black culture ... See More and contributions, all while enjoying each other’s company. The show is almost like the trifecta of Christophers as there are three on this episode. The team even gets Mr. Banks to throw out a Quick Save as they look at what they learned for the week.